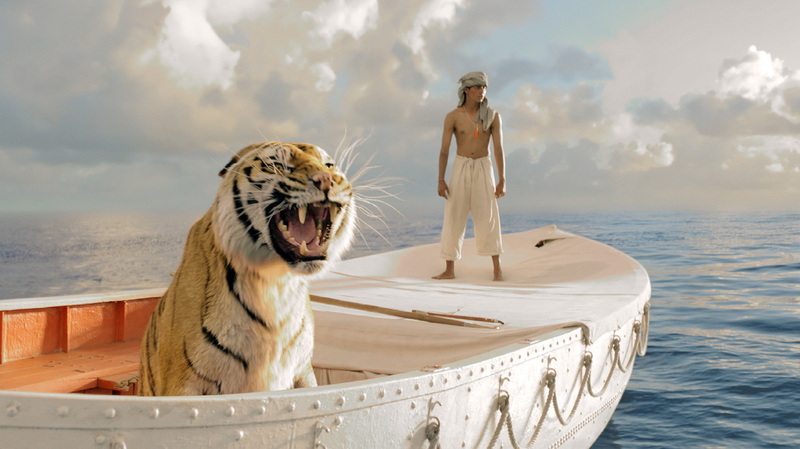 This article is a review of LIFE OF PI. Lovers of the novel can rest easy, director Ang Lee and his team have fashioned a vivacious and visually resplendent adaptation, which at times will stupefy, by slamming you with ocular poetry. However, the latter two planes have been toned down; perhaps for fear of alienating an audience unused to Hollywood grandiosity intellectualising? 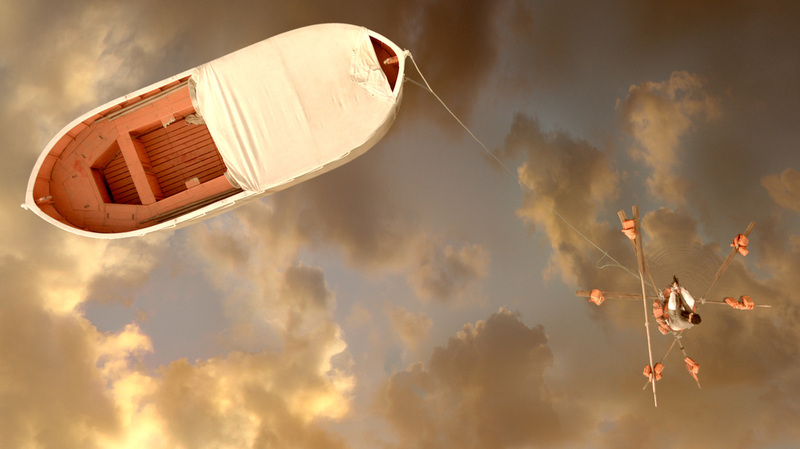 Piscine Molitor Patel, named after a swimming pool in Paris – shown via an astonishing sequence from inside looking up, as if the storyteller’s uncle is gliding through the sky – recounts his extraordinary early life to an author (Rafe Spall), who is suffering from writers’ block and looking for inspiration. Said author has come to the right person. Piscine a.k.a. 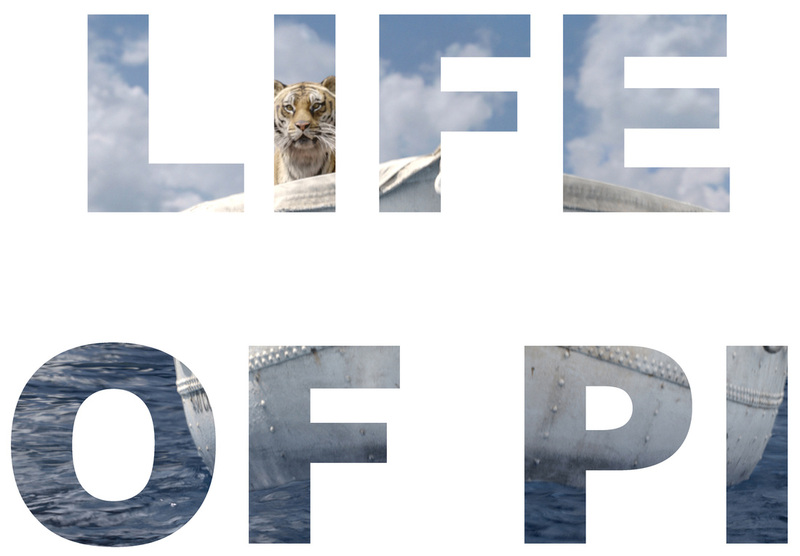 Pi (Suraj Sharma) sets up, after a credit sequence in a zoo, what formed and motivated him. God had a huge impact, and Pi came to embrace three religions: Hinduism, Islam and Christianity. His father an atheist and businessman created a zoo in an idyll – Pondicherry, India. We witness Pi growing up intellectually inquisitive, in a loving home. His academic prowess is formidable. The filmmakers feed us titbits of information that may at first be dressing, but is actually a foundation for the excitement that will make up the bulk of the movie - a mix of tragedy and awe. 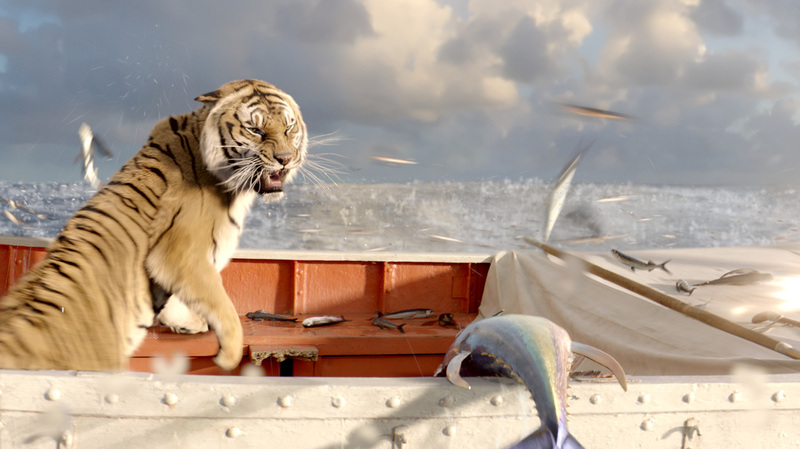 - Richard Parker the Bengal tiger. 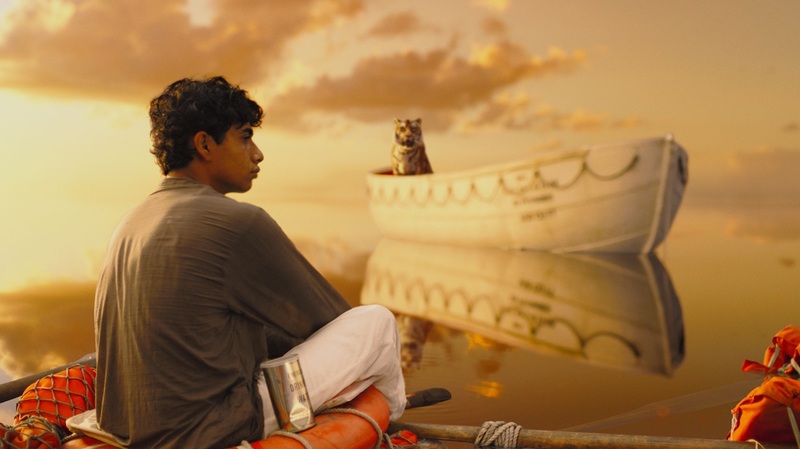 LIFE OF PI becomes explicitly about endurance and hope. And, like the novel, is never preachy. 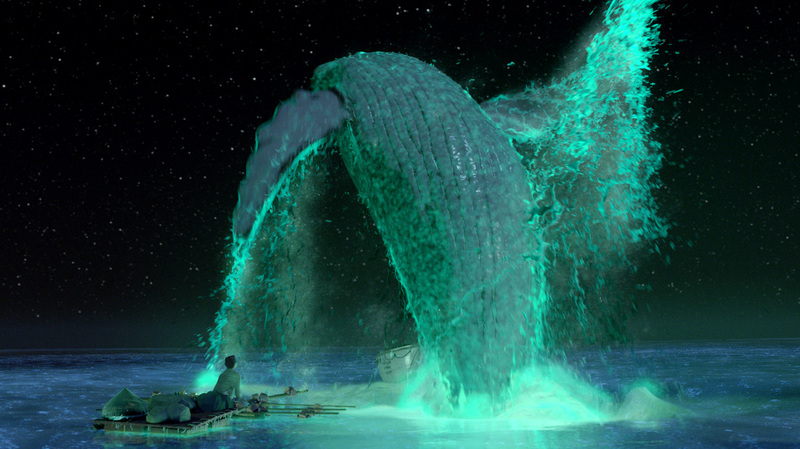 Talented visualists supposedly attempted adaptations: M. Night Shyamalan, Alfonso Cuarón and Jean-Pierre Jeunet, and for whatever reason their alleged versions never came to pass. But high five Ang, high five. This may not have been as cerebral as I would’ve liked, but the imagery (such as recreating the book’s cover, and an ocean sunrise), mean I’ll be most definitely revisiting.